So as you all probably know GitHub has been acquired by Microsoft. I had initially groaned at this acquisition as usually a lot of things Microsoft has done lately has really bothered me (locking down APIs to O365 and not providing them to on Prem, for example) but then they also have done some good moves… .Net Core 2.0 and all the open source incentives are a nice change of pace. And to top that with some sugar how about some private Repositories for free members! Yeah That’s right, now that this is an option I’m going to use GitHub more. Now I’ve played with it before, however this time I wanted to write this up for my own memories. Hopefully it helps someone out there too. 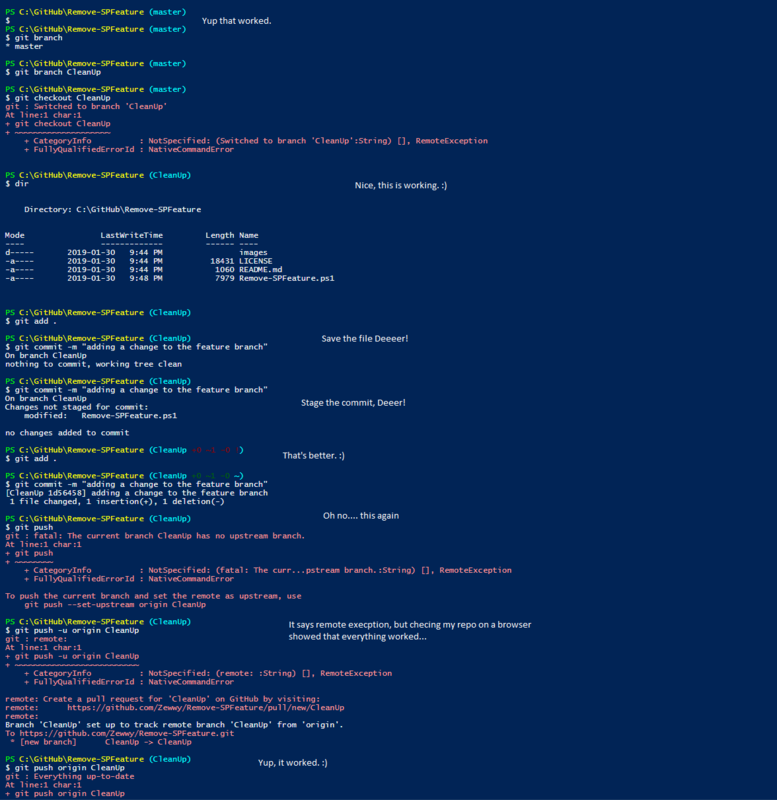 Let’s have some fun saving our PowerShell scripts on GitHub! So I originally follow this guys blog post on how to accomplish this. Now I had already installed git for windows so I was set there. return "`n$('$' * ($nestedPromptLevel + 1)) "
Now that we’ll have the same special console to avoid confusion let’s link a directory! Alright. Well now that we have a repo, and are in it, how do I open a file in the very ISE we are running to edit them? Now Mike didn’t exactly cover this, cause I suppose to him this was already common knowledge… well not to me haha so it’s actually pretty simple once you know how. Woah! Epic, it can be bothersome when dealing with length scripts, so ensure you utilize regions (w/ endregions) to allow for quick named areas to access, as you can use this command in ISE to collapse all regions once a script is loaded. Don’t do a “git commit -a” from the ISE, it’ll crash asking you for a line to provide in for the description. I hope this maybe gets some more people power shelling! I recently took a course in resiliency, and they basically said be a tree… ok.
Whats is branching? well pretty much, try stuff without changing the source code. Backups anyone? it’s a nice way to try stuff without breaking the original code, and once tested, can be merged. You can create a branch locally as long as you have a cloned version of the repo. From your terminal window, list the branches on your repository. This output indicates there is a single branch, the master and the asterisk indicates it is currently active. Switch to the feature branch to work on it. 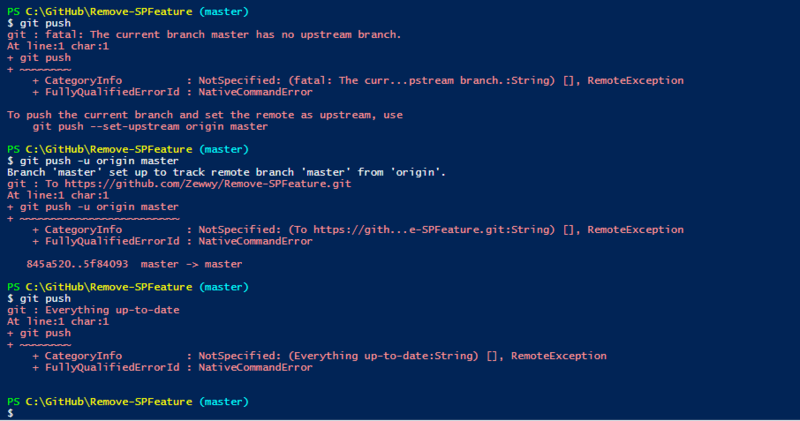 You can list the branches again with the git branch command. $ git commit -m "adding a change from the feature branch"